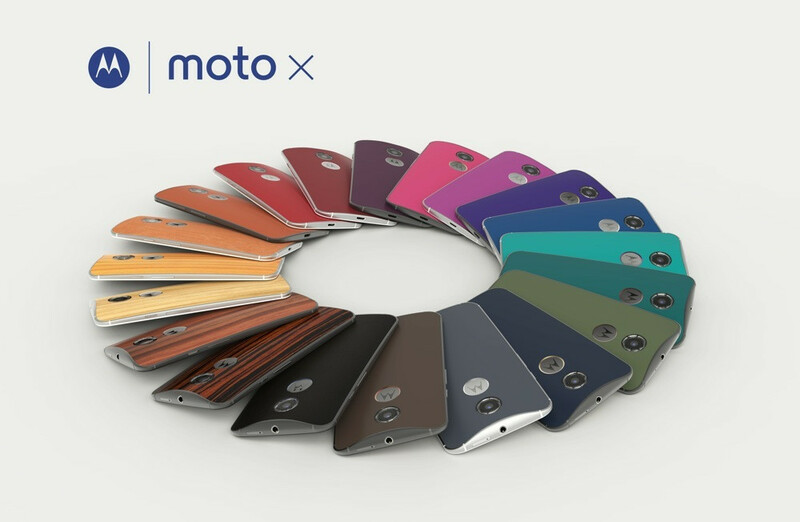 There she is – the new Moto X. Not the Moto X+1 or the Moto X2 or the Moto X (insert random codename), this is simply, the new Moto X (2nd generation if we are getting really technical). It’s official and will be available soon, as in, this month from a variety of carriers and as an unlocked device. At a price of $99 on 2-year contract or $499 at full retail, Motorola has created a high-end phone that they are offering at a price around $100 lower than competitors. The new Moto X has been beefed up in a variety of ways over its predecessor, so let’s talk about it before getting into the hands-on and unboxing stuff. In terms of specs, the new Moto X has been upgraded in all of the places that we complained about from the first version. The screen is now 1080p, the frame of the phone is metal and premium, the battery is slightly bigger, and the processor is a current-gen Snapdragon 801, not a 2-year old hacked-together Moto chipset. The camera has been bumped up to 13MP, though it will take further testing over the next few days to decide if it is improved or not. Motorola really did take the design and awesomeness from the first Moto X, a device we called deemed the phone of the year in 2013, and tried to make it overall better. To see the full list of specs, head over to this post. Yes, you will be able to order a custom phone once again this year. Moto Maker is back and available from day 1, but only through Verizon and AT&T. As of now, Motorola has not confirmed that there will be a Sprint version for Moto Maker. There will be an unlocked GSM model, though, which means if you want a T-Mobile custom Moto X, you can have one. Moto Maker has more options than ever, with 25 different backs to choose from, including leather that has been sourced from Horween, a tannery based out of Chicago that also makes official NFL footballs and the bands for the Moto 360. There are 17 colored backs, 4 leathers, and 4 woods to choose from. You can also choose from 10 accent colors, either a white (with silver frame) or black (with dark metal frame) front, engraving, storage size (16GB or 32GB), special wallpapers, and a personal power-on greeting. With the Texas Moto Maker plant closing by the end of the year, you are probably wondering where your phone will be made? Well, it’s happening in a factory in China. Since Motorola continues to expand Moto Maker availability to new countries, they needed more capacity, thus the reason for the China factory to be born. They are still expecting orders to arrive in under a week, which is pretty remarkable. Motorola has done their best to improve upon the best software features from the original Moto X – I’m talking Active Display, Touchless Control, and Moto Assist. They rebranded Active Display and Touchless Control to Moto Display and Moto Voice, respectively, making them a part of a new Moto app suite. With Moto Voice, you can now customize your launch phrase to be something other than “OK, Google Now.” You can access third party apps through it as well, like posting status updates to Facebook, opening YouTube, or sending messages in WhatsApp. Motorola even built in commands to tell your device “goodnight” or “good morning,” which would turn either sleep mode on or off. Motorola Display is basically the same as Active Display, it just has a new name; same thing with Moto Assist. Moto Actions take advantage of the IR sensors on the front of the device, which allow you to wave your hand over your phone to mute calls or wake the Active Display to show time or notifications. To see all of the new software features in action, be sure to hit up our hands-on tour. Motorola will let you purchase a special charger as an accessory for your new Moto X, one that I plan to buy on day one if it’s available. It’s called a Turbo or Super Charger. By using the Turbo Charger, you can give your Moto X 8 hours of battery life in just 15 minutes time. Think about that for a second. 15 minutes – 8 hours of use. That’s almost game changer territory. Motorola tossed in a 13MP camera that shoots 4K video, but only time will tell if it can actually shoot a decent still here and there. They outfitted the shooter with a ring flash that should introduce softer, more natural light when in use, but again, we still don’t know if this thing can produce quality pictures or not. The camera in the original Moto X was its biggest downfall – here’s to hoping that isn’t the case again this time around. Motorola has tossed in a couple of new tricks, most notably a feature that tries offer up a better still than the one you may have captured. For example, if the Moto X determines that there was too much motion in your photo, it may suggest another that it took at the same time. For those curious, quick capture camera (aka the double=wrist twist) is back again. 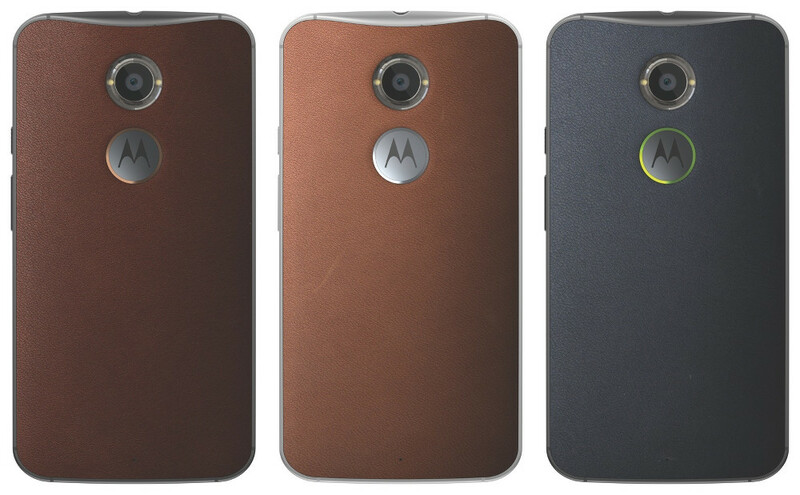 Again, the new Moto X will be available this month at carriers like AT&T and Verizon, along with an unlocked GSM model sold through Motorola’s site. We are waiting for official word on specifics from individual carriers and will be sure to share that info as we have it. The Moto X will run $99 on 2-year contract or $499 at full retail.